Our debut in the city of stars! The spud made it’s debut in the city of stars (Los Angeles) this week! We drove from San Diego to L.A. at the beginning of the week and made a fun stop at Universal Studios Hollywood for a photo-op! We got to park for a little while by one of the entrances where the buses un-load. The potato got so much attention and Spuddy Buddy even got to explore Universal Studios with the Tater Twins. 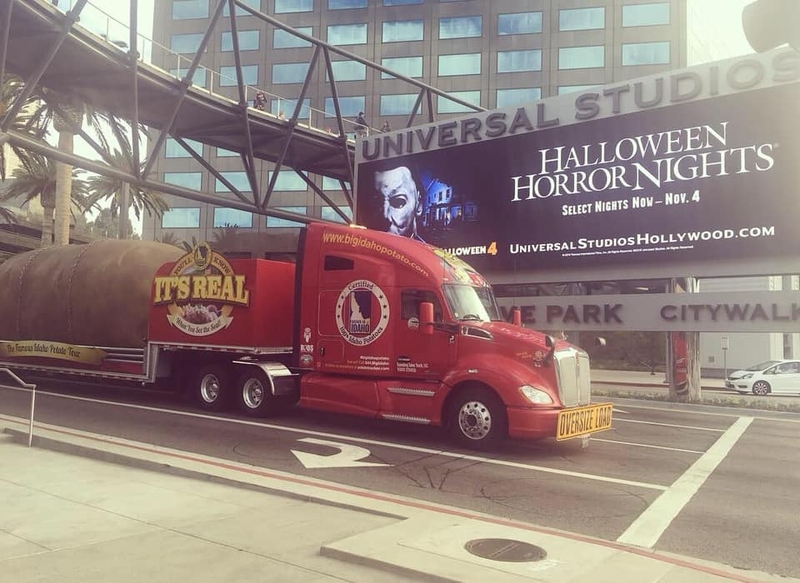 The truck at Universal Studios! During the week, the tater team attended Jimmy Kimmel Live because we did a video shout-out to him a month earlier on our social media pages. 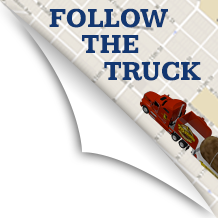 In our video, we told Jimmy that the Big Idaho Potato was coming to L.A. and that we wanted him to ride along with us. Although Jimmy wasn’t able to see the truck, it was a cool experience being a part of the audience. 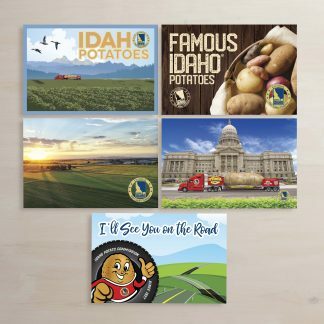 We even gave some of the producers Idaho Potato pins and postcards! Morgan Freeman was the guest star and he was super funny! 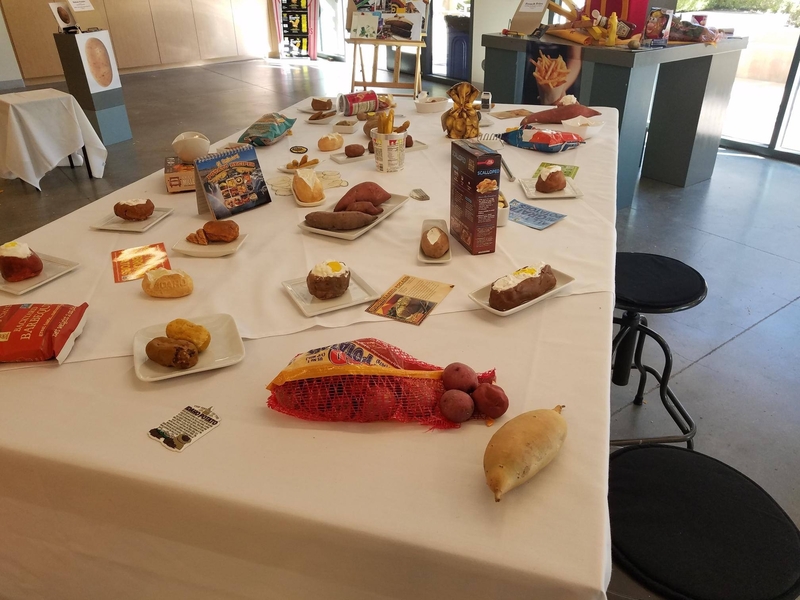 Our next stop was Calvary Christian School in Pacific Palisades, CA which is right by Santa Monica and west of L.A. Carol, an art teacher at the school, had requested us to come to do some Idaho Potato art. 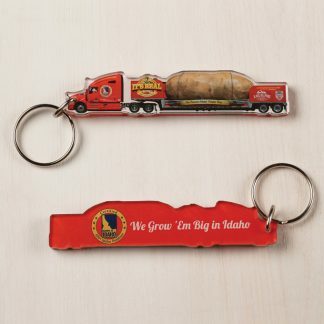 She has been to Idaho and visited the Idaho Potato museum in Blackfoot when she first learned about the truck. 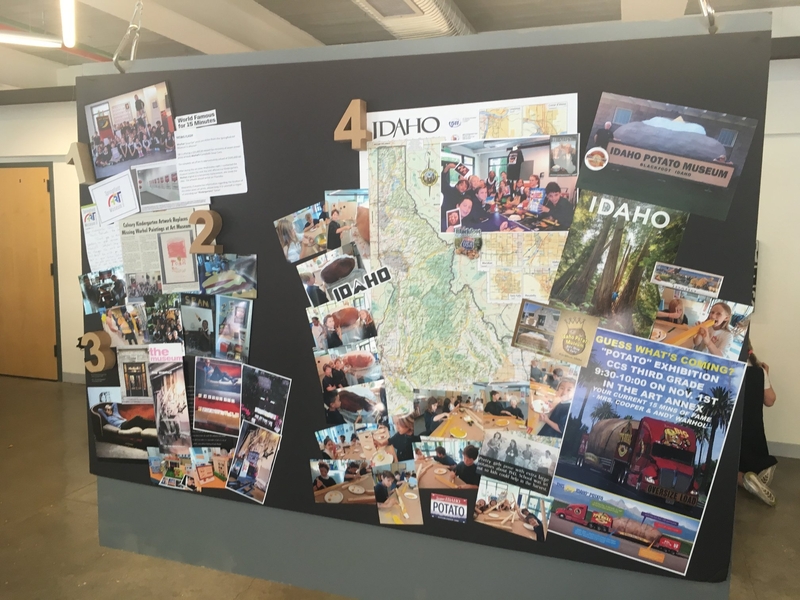 She did a whole lesson on Idaho Potatoes before we came and displayed photos and maps of Idaho in her classroom. The kids also made cute little papier-mâché potatoes and french fries which they were excited to show us. We were really impressed by their projects and everything they had learned beforehand. Idaho display inside Carol’s Art Classroom! 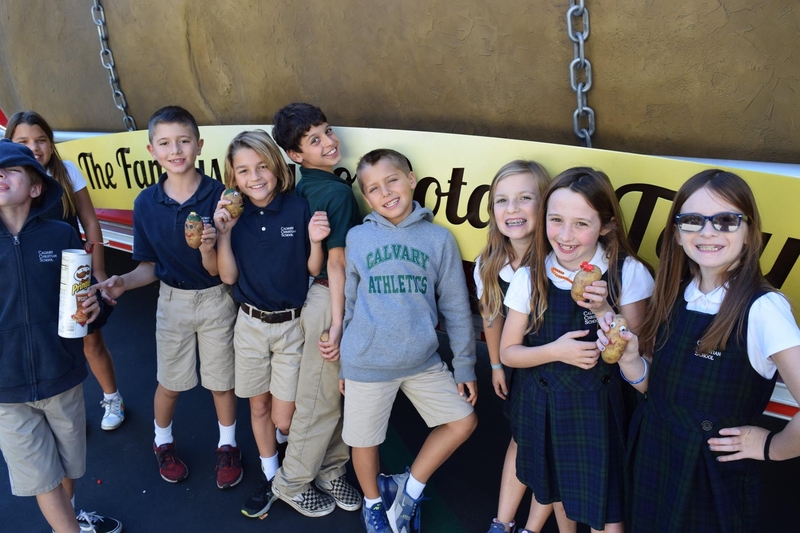 During our visit, we had multiple classes ranging from kindergarten to fifth grade come out to see the potato. One class from another school also came as well. The kindergarteners and Carol’s third grade art class decorated real potatoes during their time at tables in front of the truck. It is so fun seeing what different kinds of creations the kids will come up with, and getting to talk with them one-on-one. While the kids were decorating, Carol arranged for a DJ to play music (we requested some potato songs of course) and we had a dance party afterward. After we decorated and danced, the tater twins gave a little speech and told the kids about the tour and some potato nutrition. We also had a signature board to donate money to Compassion International which each class got to sign as well. Children with their decorated potatoes! 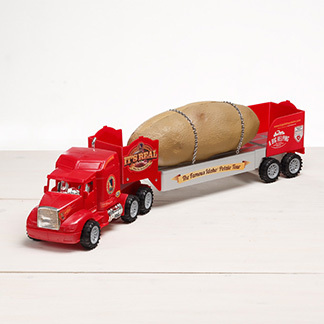 The potato is almost done touring nationally and has one more stop in Orange Beach, AL for the World Food Championships! Until next time! PrevPreviousThe Big Idaho Potato Sets Sail in San Diego!